Are you tired of looking for minerals at inaccessible areas due to Bedrock? Flat Bedrock 1.7.2 and 1.7.10 modifies the generation of the world to transform the various layers and bumps that form in the depths of Minecraft worlds, in a single layer of block height and completely smooth. Thus, mineing won’t be difficult anymore, with this mod you can enjoy mineing in the depths of your worlds, because now will be completely flat. 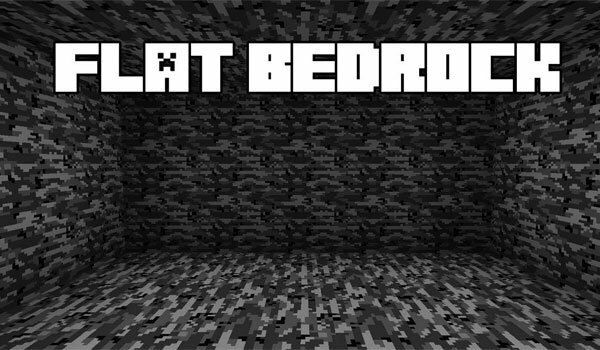 How to install Flat Bedrock Mod for Minecraft 1.7.2 and 1.7.10? A single layer of smooth Bedrock!